Kris Princen and Bram Eelbode have won the TAC Rally in a Volkswagen Polo GTI R5. 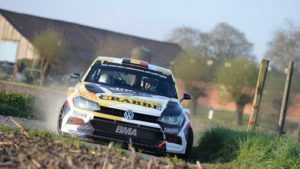 The duo from the BMA Autosport team won six of the 14 special stages at round three of the Belgian Rally Championship, which took place around Tielt in West Flanders. 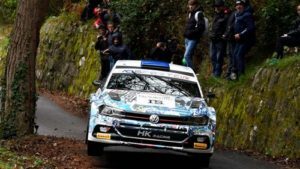 Princen/Eelbode were initially embroiled in a thrilling battle with their compatriots Cédric Cherain/Xavier Portier from the THX team, who were also in a Polo GTI R5. However, Cherain/Portier were forced to retire after a crash on stage three. This is the second win of the season for Princen and Eelbode, who also took their place on the top step of the podium at the Rally van Haspengouw in February. Their team-mates Patrick Snijers/Thiery Davy (B/B), again in a Polo GTI R5, ﬁnished sixth. 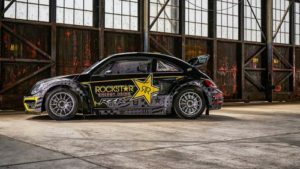 The 412-kW (560-PS) Volkswagen Beetle returns to the circuits of the Americas Rallycross series (ARX) in 2019. Andretti Autosport, champion team in the 2018 ARX and Global Rallycross champion in 2017, will ﬁeld two cars. Powered by a 2.0-litre turbo engine, the four-wheel drive Rallycross racer has been developed and built by Volkswagen Motorsport. The Andretti team will receive technical support from Volkswagen R GmbH for the 2019 season. The ﬁrst race in the ARX will be held on 8/9 June at the Mid-Ohio Sports Car Course in Lexington (USA). The series then heads to Madison (13/14 July), where Gateway Motorsports Park will host the Rallycross action. That is followed by a trip to the Canadian province of Québec, where Circuit de Trois-Rivières will provide the stage for more Rallycross drama on 3 and 4 August. The ARX then travels to the Austin, Texas, and the Circuit of The Americas – known for its Formula 1 Grand Prix – on 28 September, before returning to Mid-Ohio for the season ﬁnale on 5 October. Petter Solberg (N) will bring the curtain down on his professional career at the end of this year. Before then, he will bid farewell to his fans at several international events. The 44-year-old was crowned world rally champion in 2003 and won the FIA World Rallycross Championship in 2014 and 2015. In 2017 and 2018 he drove the Volkswagen Polo R Supercar and twice won the Team Championship with his own PSRX outﬁt. Solberg was the ﬁrst, and remains the only, driver to win titles in two diﬀerent FIA racing series. 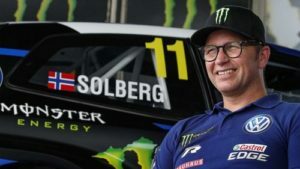 Over the course of his motorsport career, which stretches back over 20 years, the Norwegian has claimed victories on ﬁve continents. 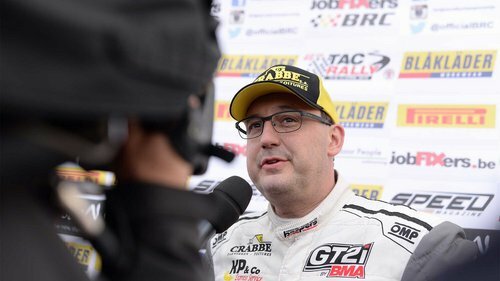 Solberg will continue to compete in individual races over the coming years, but will no longer be a regular in any one championship. He will continue to devote his time to his own motorsport team in the future, and to support his son Oliver with his rally career. Andrea Crugnola/Elia Pietro Ometto (I/I) ﬁnished ﬁfth overall in the Polo GTI R5 at the Rally Sanremo. The duo from the Gass Racing team won one special stage in the process. The traditional event in the Italian Rally Championship featured 152 kilometres against the clock, spread over ten special stages. Their fellow Volkswagen crew of Antonio Rusce/Sauro Farnocchia (I/I) from the X Race Sport team ﬁnished ninth – also at the wheel of a Polo GTI R5. 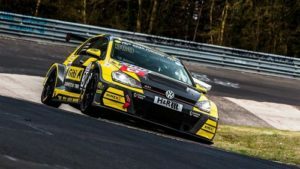 The April weather upset the organisers’ plans at round two of the VLN Endurance Championship Nürburgring: Snow meant the race on Saturday had to be cancelled after just two laps. A re-run was impossible, for safety reasons. Up to that point, Benjamin Leuchter (D) and Andy Gülden (D) of Volkswagen customer team Max Kruse Racing had been in ﬁne form. They set the second- fastest practice time in the TCR class and actually led their class after the start of the race. The second race of the season had also started promisingly for the all-female “Girls Only” team, with drivers Jasmin Preisig (CH), Carrie Schreiner (D) and Ronja Assmann (D) and their Volkswagen Golf GTI: Fourth place on the grid in the SP3T class meant they were well-placed to push for a spot on the podium. Preisig also went under nine minutes for the ﬁrst time in free practice.